A few weeks ago a reader of our blog asked us for the template to make some flowers that we hung in the entrance on ecological weddings in the Basque Country. 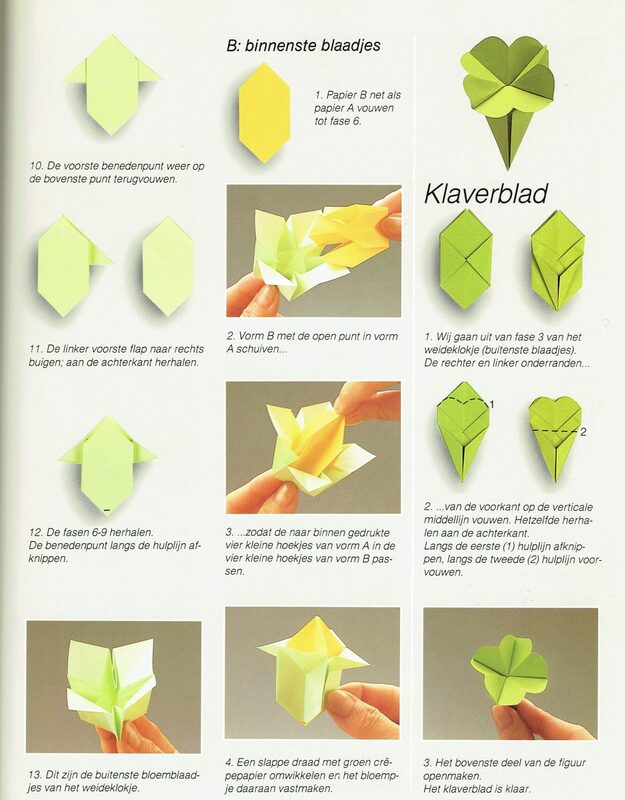 And this is because decorating with origami is beautiful, cheap and entertaining. 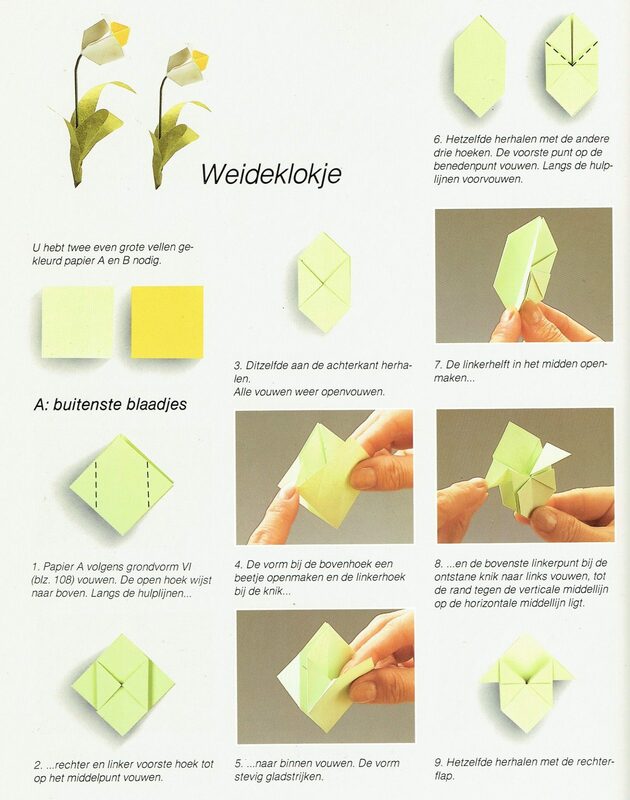 It is a Japanese art that consists simply of folding paper to obtain different shapes. 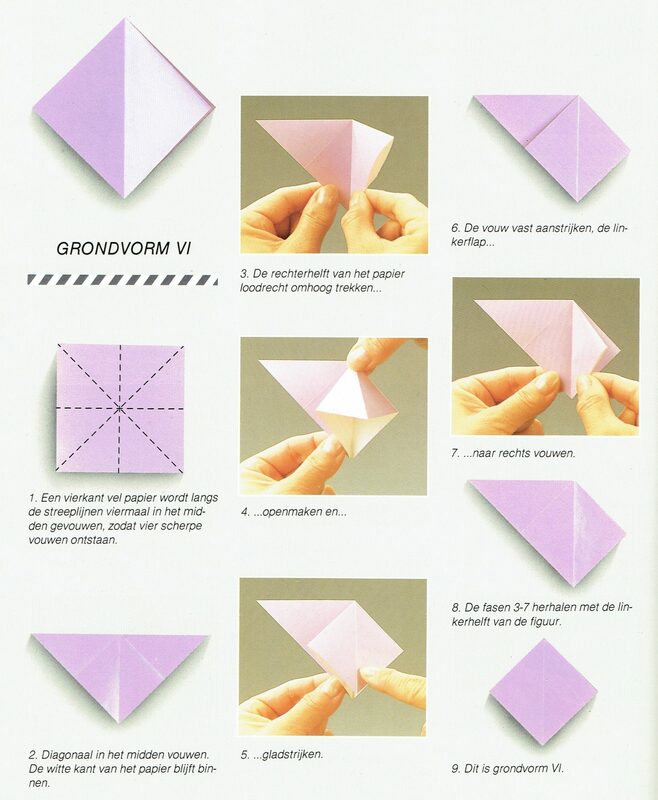 We use this technique in the decoration of one of our memory services. 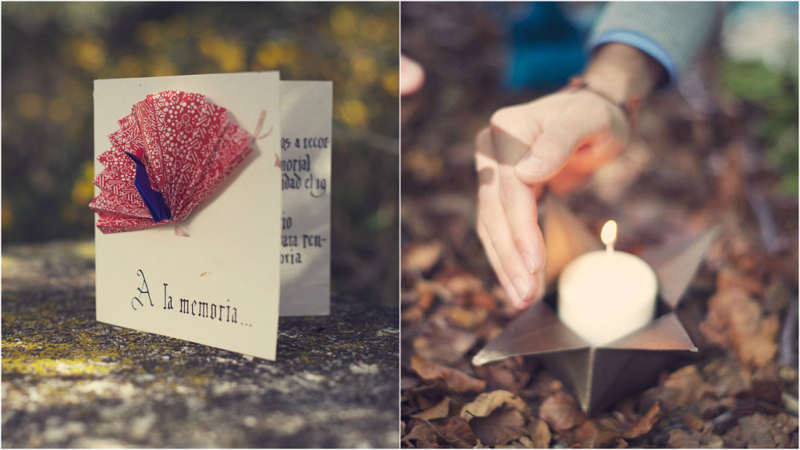 The boxes for the candles, the handmade invitations and the cranes that we made among all, were a way of paying homage to that person who had passed away, with one of his favorite hobbies. 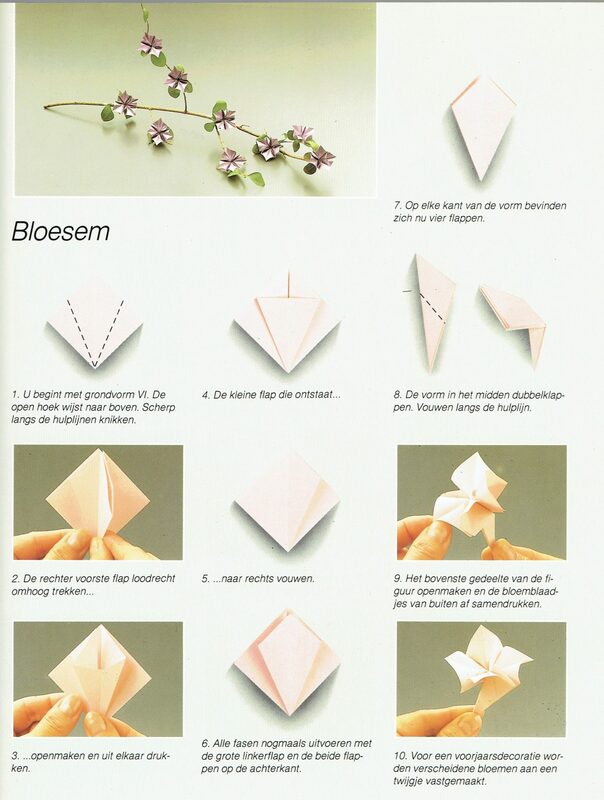 Today we give you some guidelines to make some simple flowers. 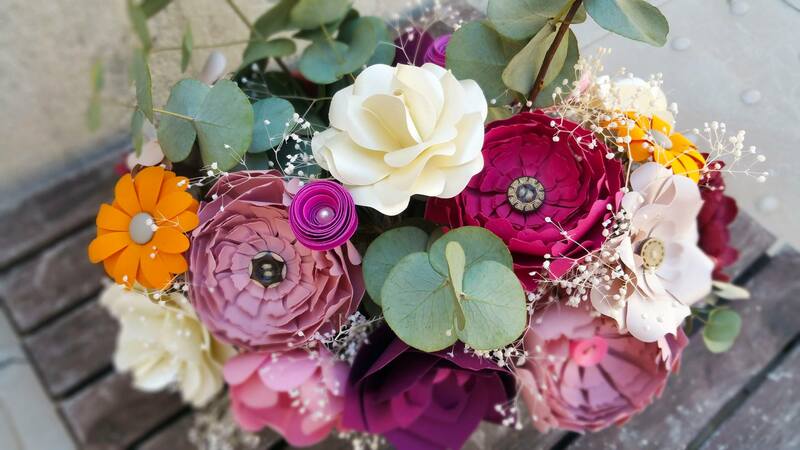 They can be used to decorate invitations, in the seating plan or to give to the guests, you choose! 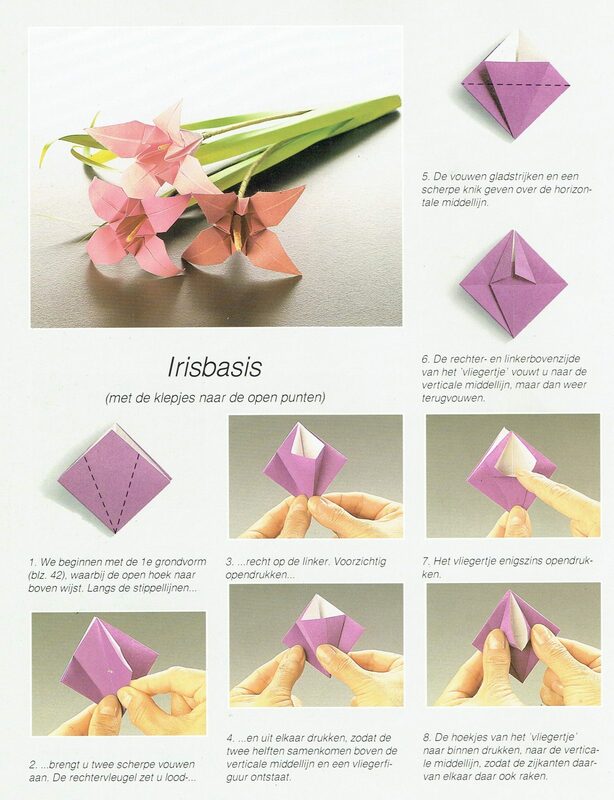 And if yours are not crafts, you can always turn to a professional, look what cool things do in Papel-ón. 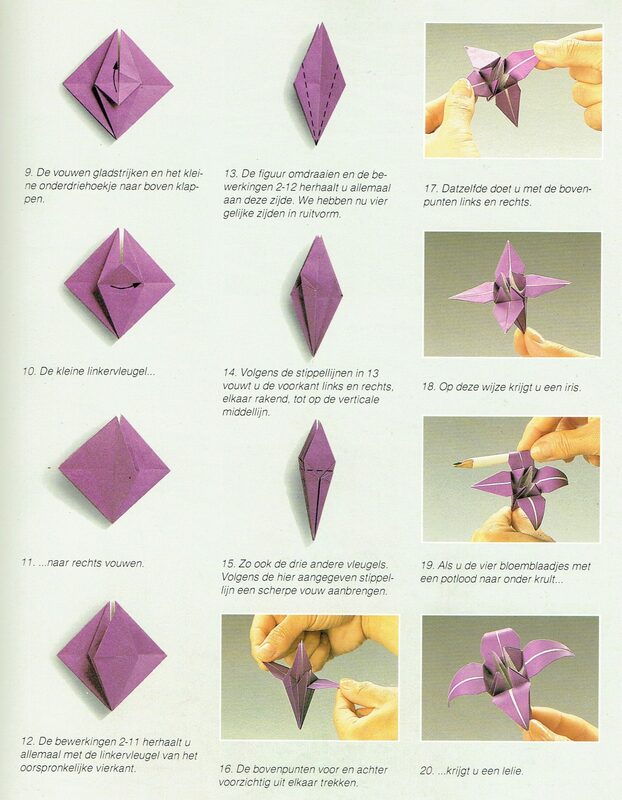 Zülal Aytüre-Scheele: Alles over Origami. 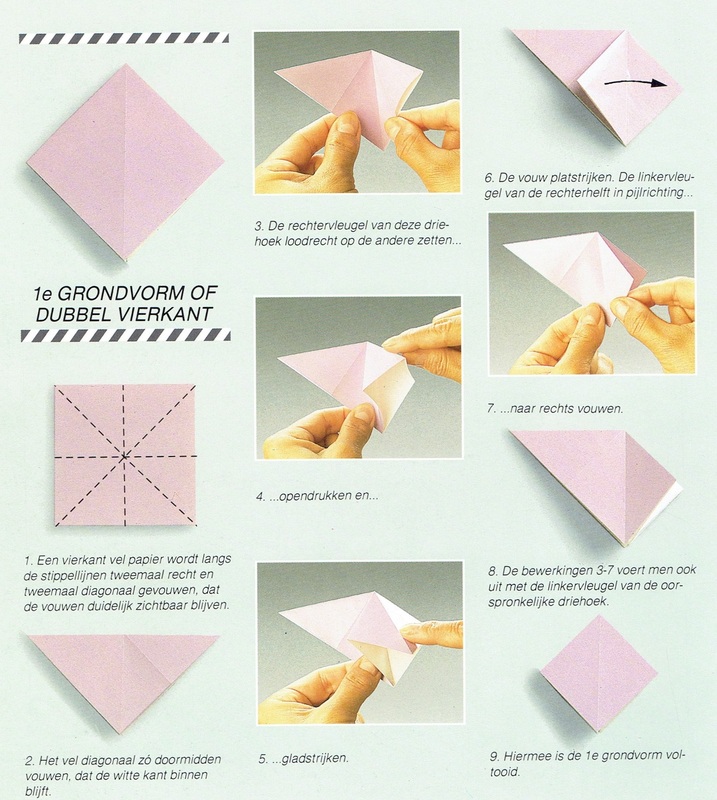 De kunst van het papiervouwen (1989).